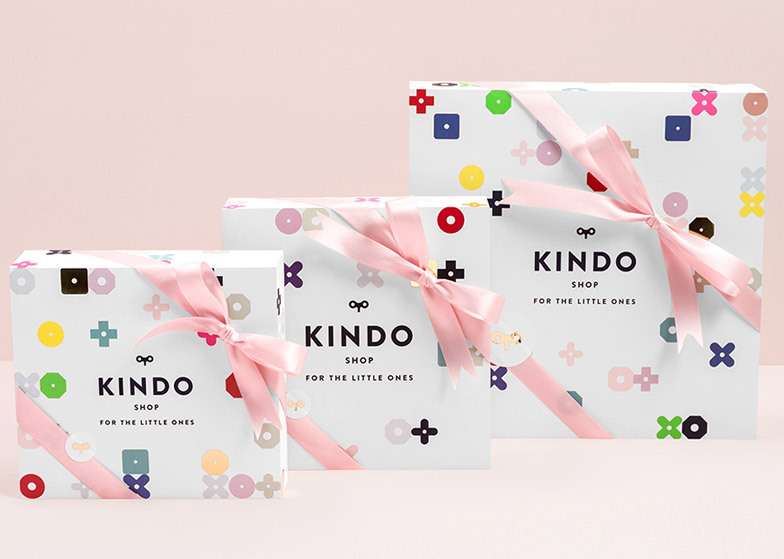 Pomo summer: branding and architecture firm Anagrama has built a giant bead maze that echoes Postmodernist colours and shapes in Mexico children's clothing store Kindo (+ slideshow). 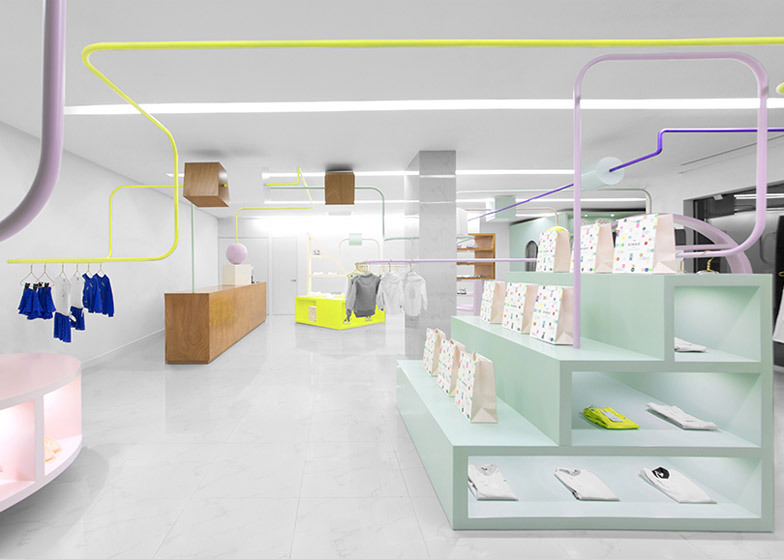 Using oversized geometric beads placed on pastel and neon-coloured pipes that double as clothes rails, Anagrama designed the interior to engage visitors of all ages. 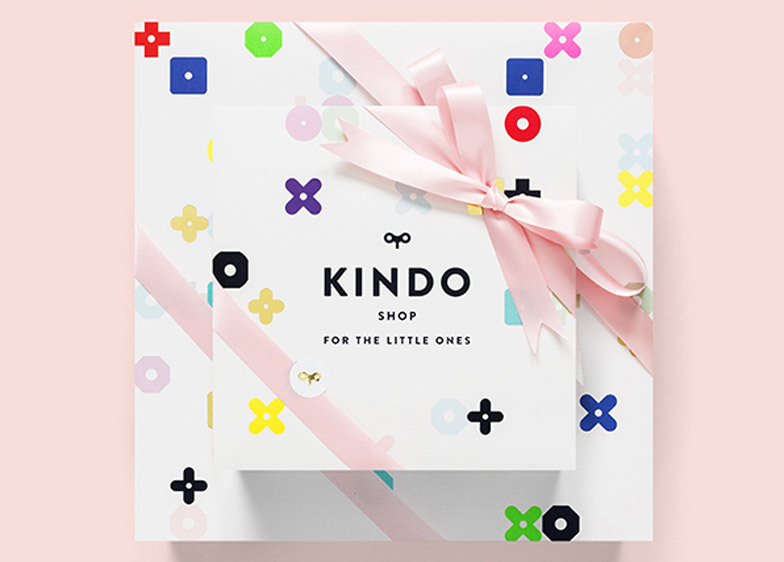 "We wanted adults to rekindle their youth by entering a space where the area is defined by a timeless classic toy interpreted on human scale, and for kids to have a more didactic and playful experience with different forms and figures," Robert Trevino, partner and architectural director at Anagrama told Dezeen. 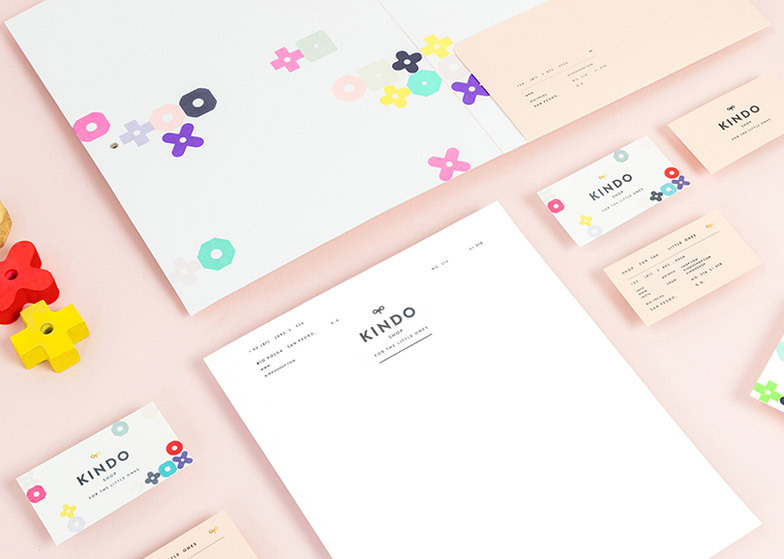 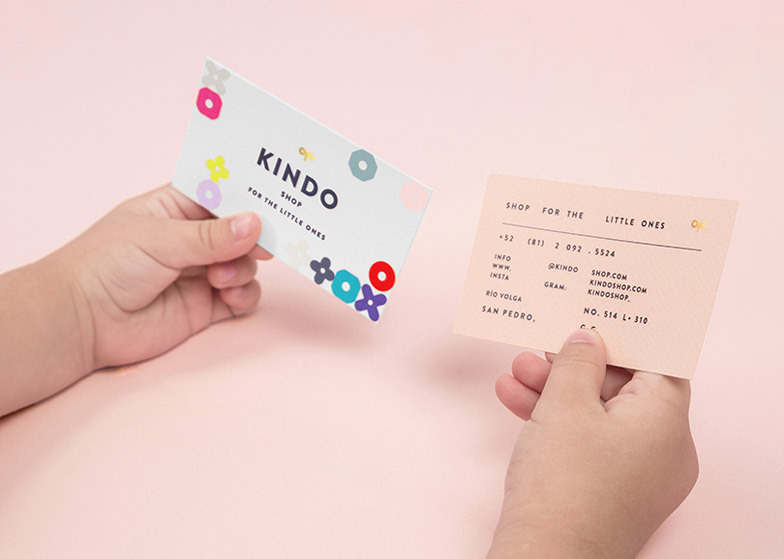 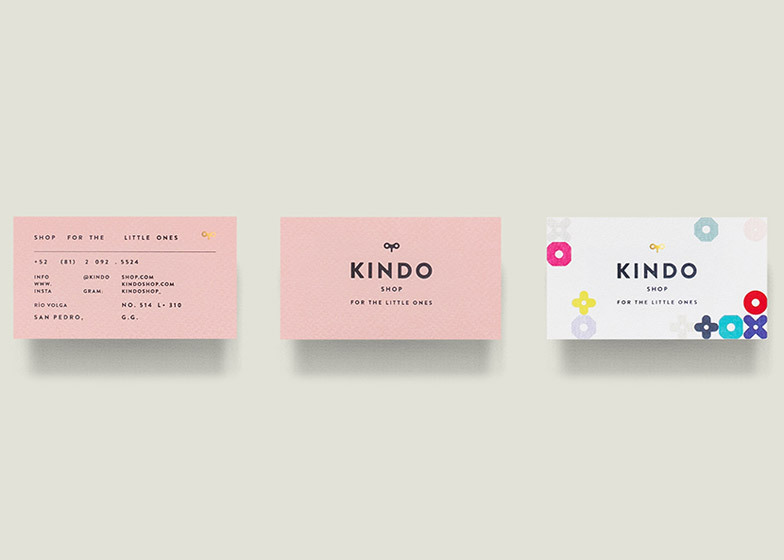 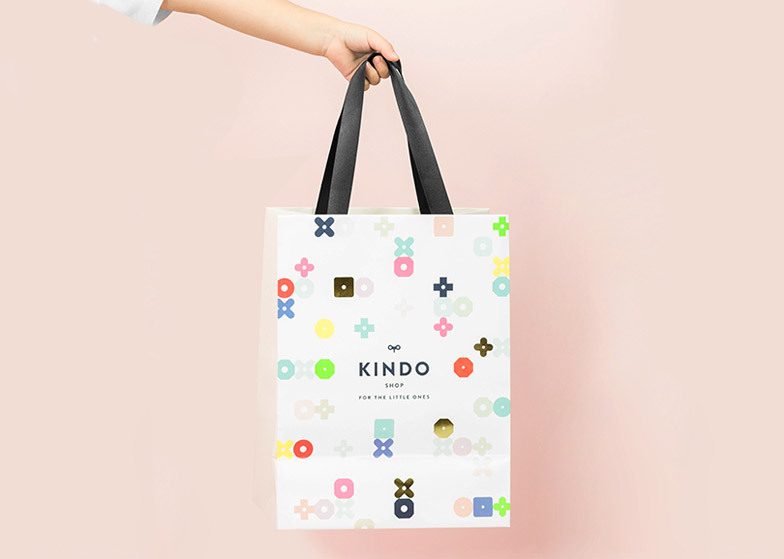 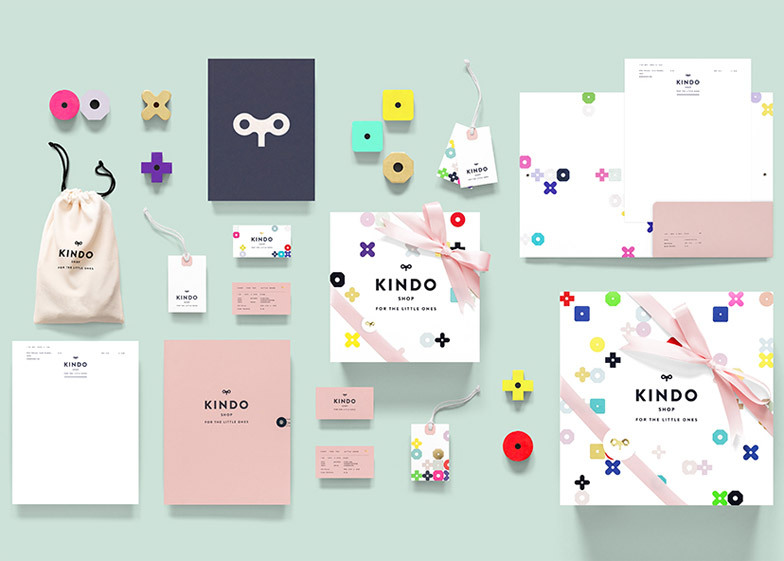 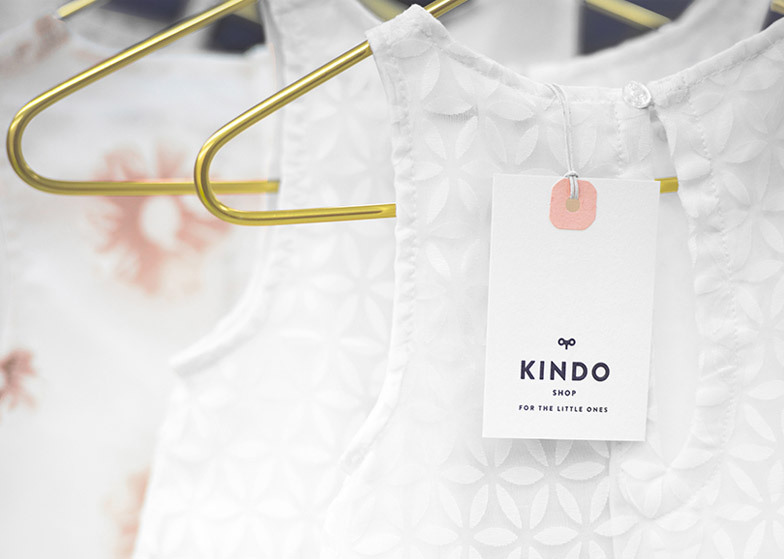 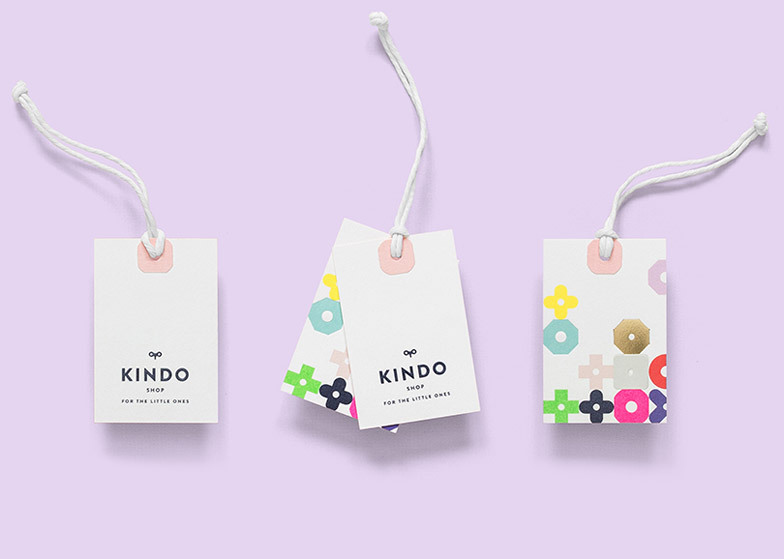 Shoppers can follow the path of the maze through the various areas of the store, with the shapes and colours of the beads repeated in Kindo's branding on labels, bags and other print materials. 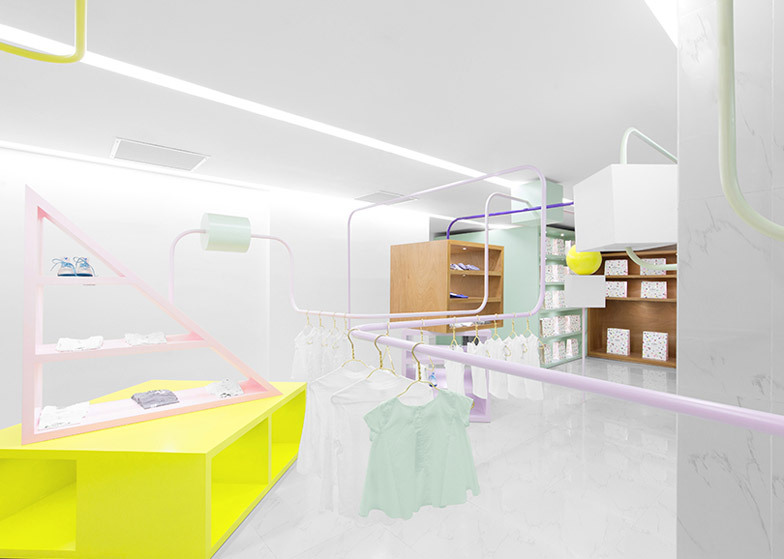 The colours are also echoed in stacked shelving units, which house shoes, bags and folded items. 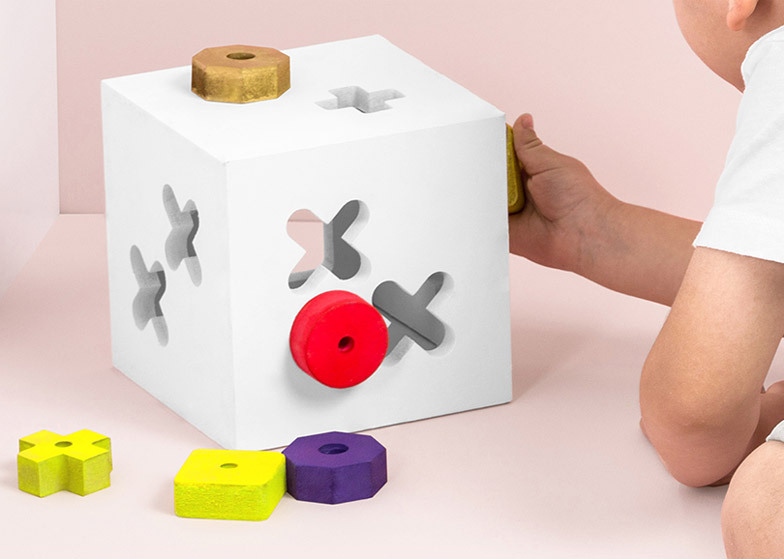 "This toy gave us material that we could sculpt into display areas by exploding the toy to a human scale, giving it orientation, purpose, and a path," Trevino added. 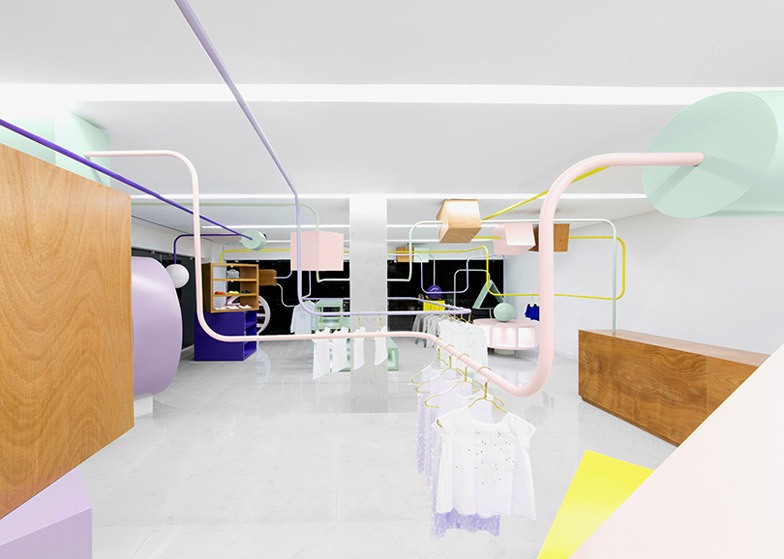 The playful design of the store near Monterrey has touches of Postmodernism. 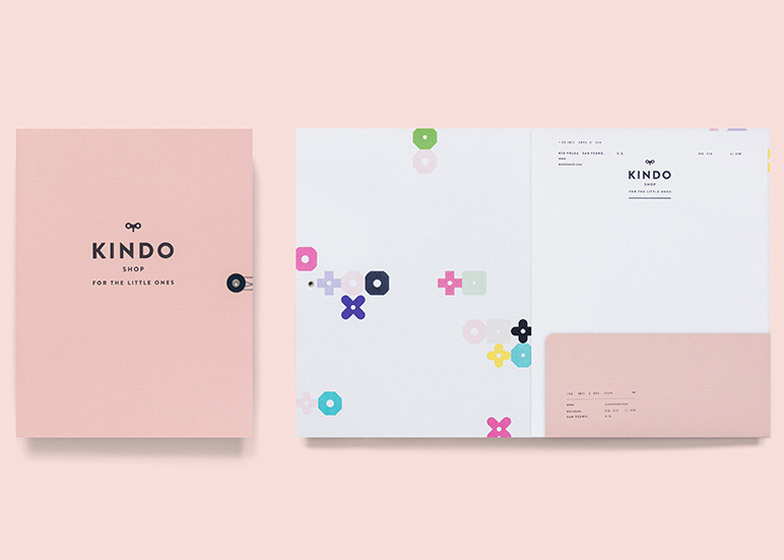 "There is definitely a Postmodernist feel to the design, although we wouldn't say that this was the absolute inspiration for the store," said Trevino. 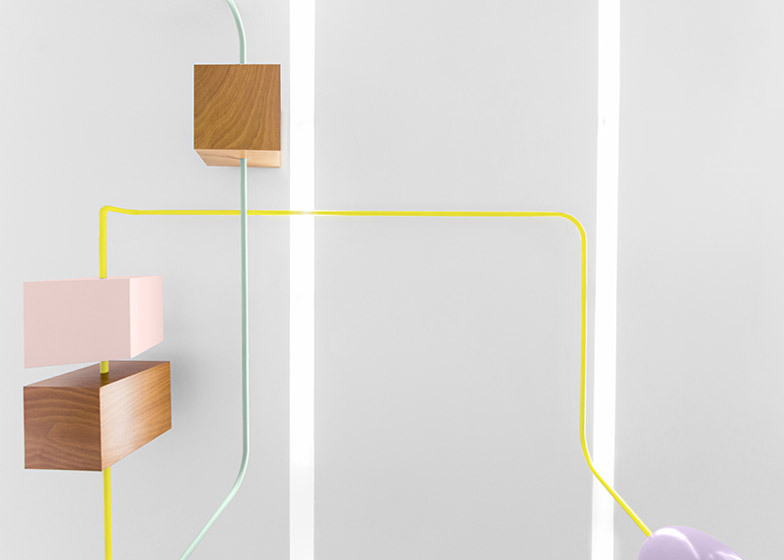 "The most obvious way that Postmodernism is portrayed is in making the form and function harmonise in a very elaborate and ambitious maze design." 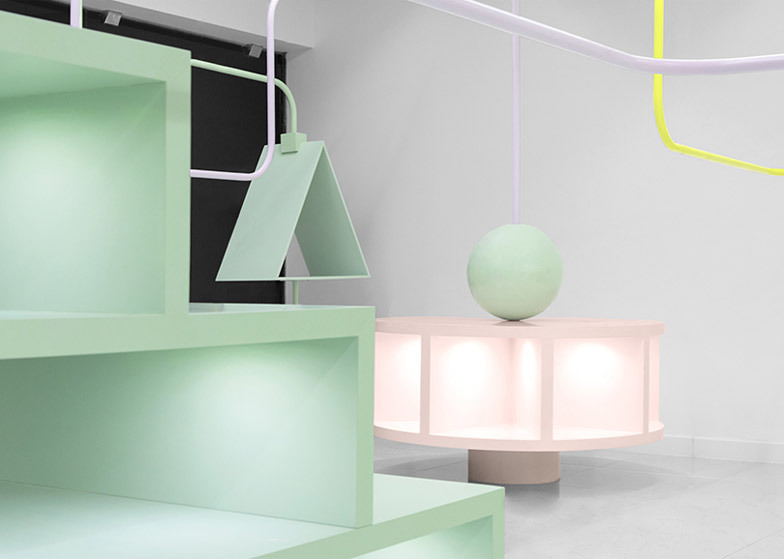 "We believe there is a fine line in which Postmodernism can play a positive roll in design, that being when a design is meant to meet with a surreal experience," he added. 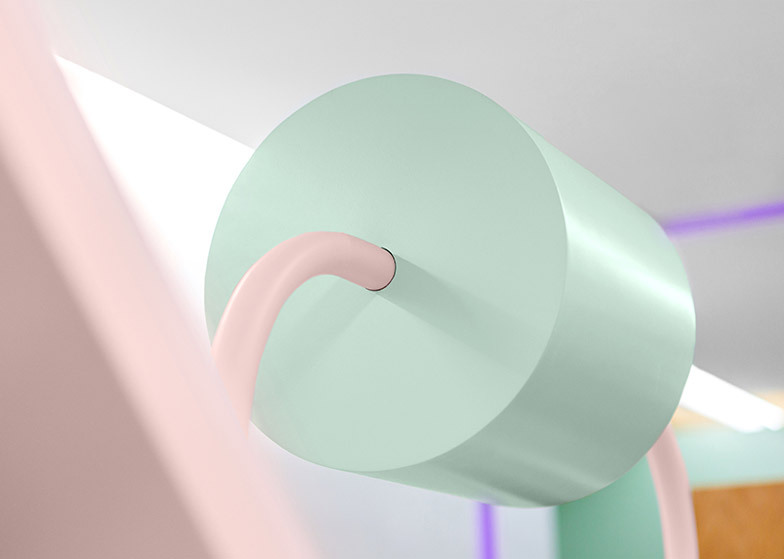 Dezeen is investigating the return of Postmodernism as part of its Pomo summer series, which features new examples of the controversial style in Michele De Lucchi's coffee moka for Alessi and Darkroom's latest homeware series. 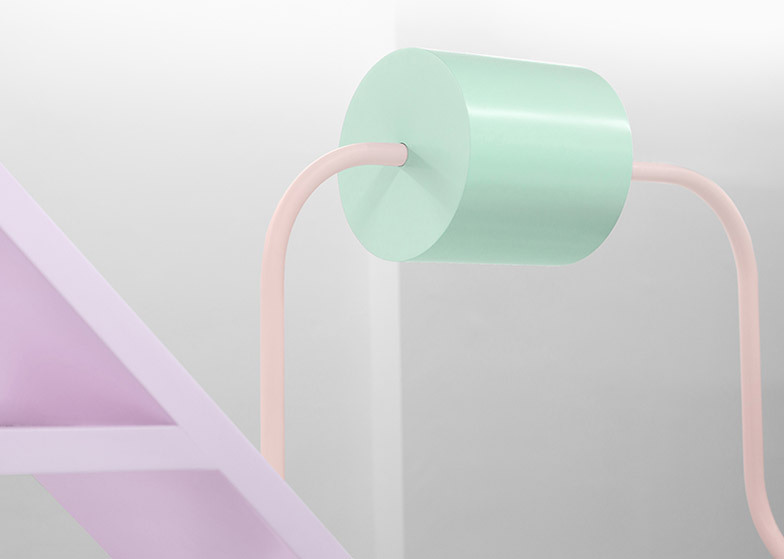 We're also exploring the movement and its legacy through studies of iconic buildings and products, including the Carlton bookcase by Ettore Sottsass and Robert Venturi's Vanna Venturi House. 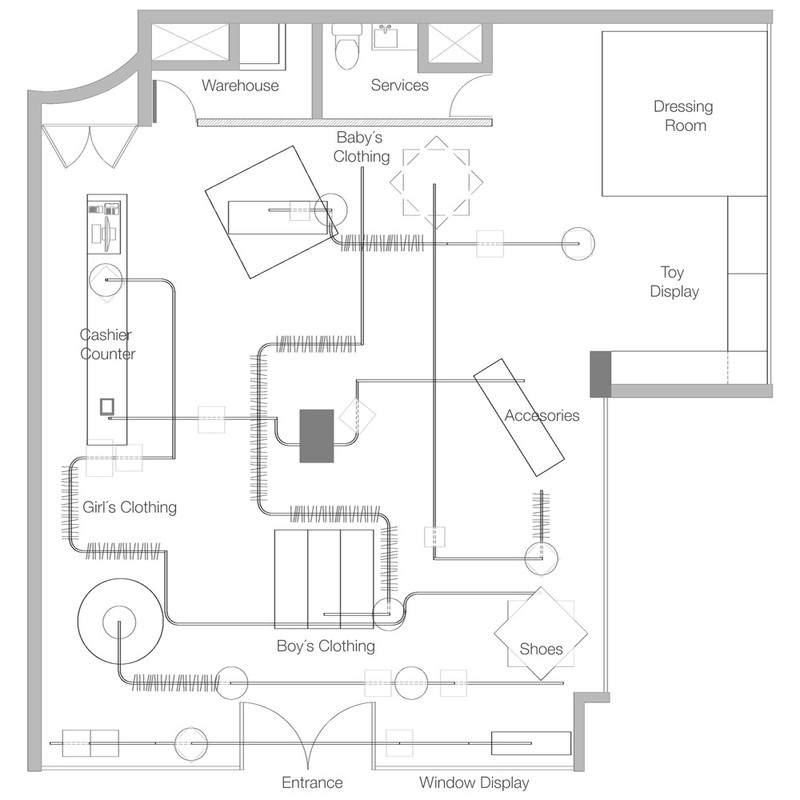 "Robert Venturi opened my eyes to architecture"